While the party circuit has been super quiet through the start of 2012, local site The Bold Italic is hoping to change all that and make a little noise this Thursday night, with the launch party for its second-ever print edition. 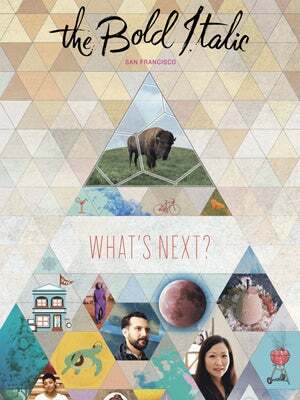 In volume two, dubbed the "What's Next" issue, you can expect an illustrated journal full of interviews with S.F. 's emerging talents along with essays, photographs, and more. Plus, in addition to taking in the new glossy (okay, we guess it's more matte...), guests to the free event can check out TBI's new digs, revamped by Workshop's DIY master Kelly Malone, and an in-office Noise Pop-Up Shop, which will be in operation through February 18th. And the fun doesn't stop there. Enjoy musical performances by The Soft White Sixties and Tim Cohen's Magic Trick, a make-your-own-valentine station, live screen printing courtesy of San Franpsycho, and eats by Wise Sons, Soul Groove, and Cat's Head BBQ. Of course, booze will be a-flowin', as well. When: Thursday, February 2, 7-10 p.m.